Dr. Bradley Bennett is a colon and rectal surgeon serving patients in the Washington D.C. metropolitan area. Originally from Evansville, Indiana, Dr. Bennett pursued his education at Tufts University in Boston before attending medical school at Georgetown University School of Medicine. He chose to remain in the DC area, completing his internship and residency at George Washington University, as well as a fellowship at Suburban Hospital. Dr. Bennett previously served in public health at the National Institutes of Health. 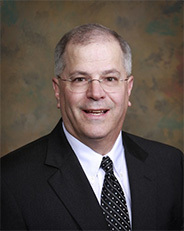 He holds the honor of being voted one of the area’s top doctors by both peers and patients. Currently, he maintains national certification from the prestigious American Board of Colon and Rectal Surgery, the American Board of Surgery and the National Board of Medical Examiners. In the past, Dr. Bennett served as Department of Surgery Chief at Holy Cross Hospital, and he currently works as an Assistant Clinical Professor of Surgery at George Washington University. As a member of the American Medical Association and the Society of American Gastrointestinal and Endoscopic Surgeons, Dr. Bennett meets the standards and guidelines required of the nation’s leading physicians and surgeons. He believes that excellent patient care is rooted in experience, ongoing education and advancements in modern medical technology. Over the years, his commitment to continued training has led to advanced training in robotic and laparoscopic colon and rectal surgery, as well as transanal endoscopic microsurgery and transanal hemorrhoidal dearterialization. When he is away from the office, Dr. Bennett may be found spending time with his wife and beloved pet dog. Dr. Bennett enjoys golf, skiing, and catching up with his daughter, who is currently away doing graduate work at the University of Cambridge, U.K.